Box Style Aerators | Manufacturers of Cooling Towers & Systems | Delta Cooling Towers, Inc. The Delta AS line of Box Style Aeration Towers are a low cost alternative to Packed Tower Air Strippers. They are available in Aluminum, Stainless Steel, and Fiberglass and can be sized for flow rates from 100gpm to 3,000gpm. The Delta AS line of Box Style Aeration Towers are a low cost alternative to Packed Tower Air Strippers. They are available in Aluminum, Stainless Steel, and Fiberglass and can be sized for flow rates from 100gpm to 3,000gpm. 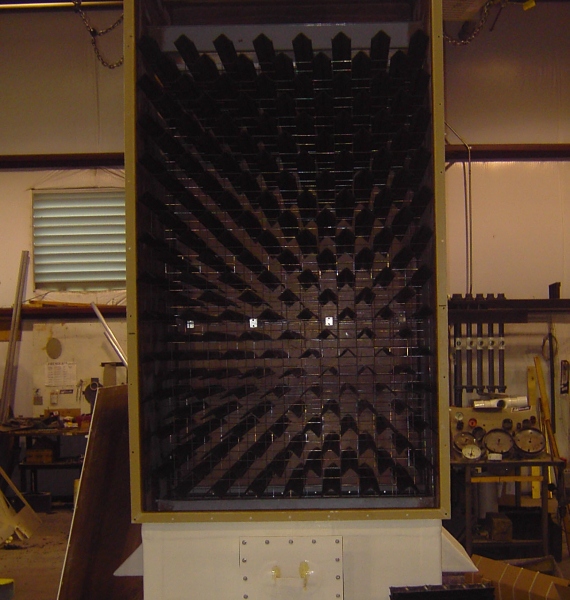 Delta’s AS Box Style Aeration Towers are typically used to assist in pH adjustment (through CO2 removal), H2S removal, and to pre-oxidize Iron and Manganese. Each of these applications typically result in a marked decrease in chemical usage for the installing owner.